This page features tables and calculators for converting between metric system units and corresponding English units that are commonly used in the United States. Here you will find conversion tables for length, area, volume, weight, pressure, energy, and temperature units, as well as conversion calculators for length, area, liquid volume, dry volume, weight, pressure, and energy. Conversion table calculations show approximately three (3) significant figures. Metric length units include the meter, the kilometer (1,000 meters), the decimeter (0.1 meters), the centimeter (0.01 meters), the millimeter (0.001 meters), the micron (0.000001 meters), the nanometer (0.000000001 or 1e-9 meters), and the angstrom (0.0000000001 or 1e-10 meters). British and American length units include the foot, the yard (3 feet), the furlong (660 feet), the mile (5,280 feet), the league (15,840 feet), and the inch (1/12th foot). See also Metric Distance Unit Conversions. Metric area units include the are and the hectare (100 ares). One square kilometer is equivalent to 100 hectares. The area unit commonly used in the USA is the acre (4840 square yards). One square mile is equivalent to 640 acres. See also Metric Area Unit Conversions. Metric volume units include the liter, the decaliter (10 liters), the hectoliter (100 liters), the deciliter (0.1 liters), the centiliter (0.01 liters), the milliliter (0.001 liters), and the microliter (0.000001 liters. A liter is equivalent to 1 cubic decimeter. 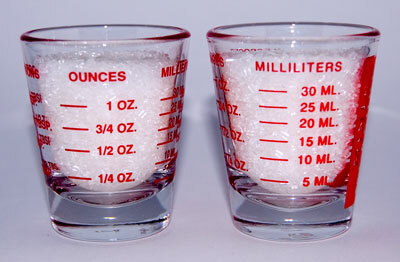 Liquid measure units commonly used in the USA include the fluid ounce, the pint (16 fluid ounces), the quart (32 fluid ounces), the gallon (128 fluid ounces), and the petroleum barrel (5376 fluid ounces). A gallon is equivalent to 231 cubic inches. Dry measure units commonly used in the USA include the bushel, the peck (0.25 bushels), the gallon (0.125 bushels), the quart (0.03125 bushels), the pint (0.01562 bushels), and the gill (0.003906 bushels). A bushel is equivalent to 2150 cubic inches. See also Metric Volume Unit Conversions. 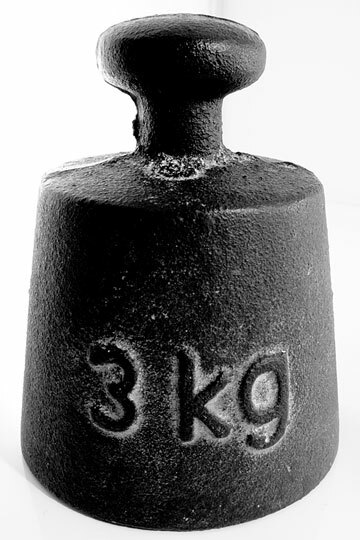 Metric weight units include the gram, the kilogram (1,000 grams), the tonne (1,000,000 grams), the carat (0.2 grams), the centigram (0.01 grams), the milligram (0.001 grams), and the microgram (0.000001 grams). Avoirdupois weight units commonly used in the USA include the pound, the stone (14 pounds), the short hundredweight (100 pounds), the short ton (2,000 pounds), the ounce (1/16th pound), the dram (1/256th pound), and the grain (1/7000th pound). Metric "weight" units are, more correctly, known as "mass" units. See also Metric Mass Unit Conversions. Metric pressure units include the bar, the millibar (0.001 bars), and the pascal (0.00001 bars). One bar is equivalent to 10,200 kilograms per square meter. The pressure units commonly used in the USA include the inch of mercury and the atmosphere (29.92 inches of mercury). One atmosphere is equivalent to 14.7 pounds per square inch. See also Metric Pressure Unit Conversions. Metric energy units include the joule, the kilojoule (1000 joules), and the megajoule (1000000 joules). The energy units commonly used in the USA include the calorie and the British Thermal Unit (BTU). A calorie is commonly defined as the amount of heat energy required to raise the temperature of one gram of water by one degree Celsius. However, the energy needed for this task depends on the water's starting temperature. The thermochemical calorie is defined as exactly 4.184 joules, but several other, slightly different definitions exist as well. One calorie is equivalent to 3.088 foot-pounds; one BTU is equivalent to 252 calories. Using this latter definition, one calorie is equal to 4.187 joules. See also Metric Energy Unit Conversions. Metric temperature units include degrees Celsius and degrees Kelvin (degrees Celsius plus 273.1). At sea level, the freezing temperature of water is 0 degrees Celsius and the boiling point of water is 100 degrees Celsius. The temperature unit commonly used in the USA is Fahrenheit. At sea level, the freezing temperature of water is 32 degrees Fahrenheit and the boiling point of water is 212 degrees Fahrenheit. See also Metric Temperature Unit Conversions. Find a wealth of educational and reference resources about the metric system and its implementation, as well as metric conversion tables and calculators. The United States is now the only industrialized country in the world that does not use the metric system as its primary system of measurement. Learn the history of the metric system and how the United States has been involved with this system since the early 19th century.